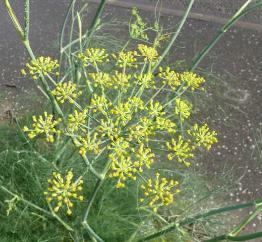 "Most umbellifers are easily known by their flowers being arranged in an umbrella-shaped umbel. 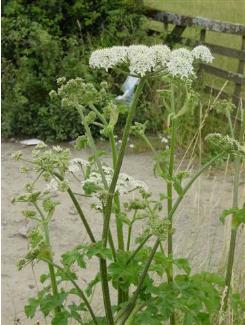 In a few, such as Sea Holly, the spokes of the umbrella are so short as to conceal the basic design, but in a typical species, such as Cow Parsley, the spokes ('rays') of the umbel terminate in secondary umbels, which consist of a number of small 5-petalled flowers arranged in a similar umbrella-shape, usually with a flattish top. 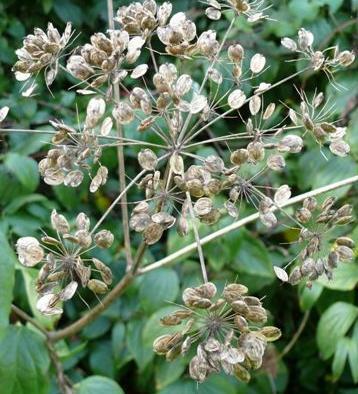 The tops of the secondary umbels make up the top of the whole umbrella. 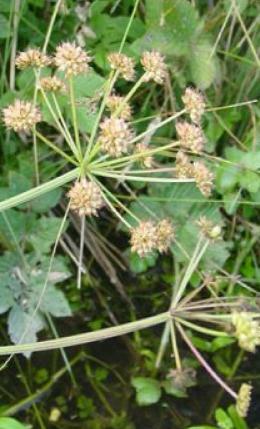 Unless otherwise stated there are small green bracts at the base of both the main umbels (lower bracts) and the secondary umbels (upper bracts). 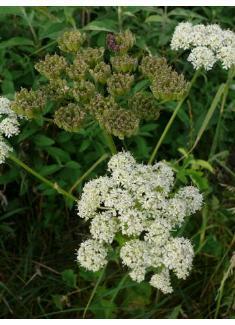 Many white-flowered umbellifers can also be found tinged pink. Many species vary in the hollowness of their stems, from top to bottom and between young and old plants. Many have finely divided, twice or thrice pinnate leaves that can be mistaken for ferns. The shape of the fruits is always a great help in identifying these apparaently tediously similar plants; these are below the petals and consist of 2 or more less closely joined 1-seeded portions, which separate when ripe". from Collins Pocket Guide to Wild Flowers by David McClintock and R.S.R. Fitter assisted by Francis Rose - ISBN 0 00 219363 9 - Eleventh Impression 1978. An annual of open habitats on well-drained, mainly sandy or gravelly soils, including dry grassland, hedge banks, roadsides, sea-walls, waste ground, gravel-pits and arable fields. Lowland. A tuberous perennial herb, found in hay meadows and pastures, especially those which are horse-grazed, and on roadsides. It grows in both damp and dry grassland, being the only Oenanthe which grows in dry habitats in our area. Lowland. 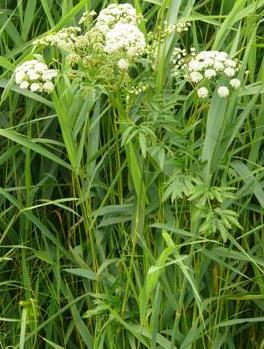 A perennial herb of fens, damp meadows and rough-grazed marshy pasture on calcareous peaty soils or fen peat overlying chalk. It does not grow on the wettest ground in fens, but prefers slightly better-drained fringe areas and low banks. Lowland. 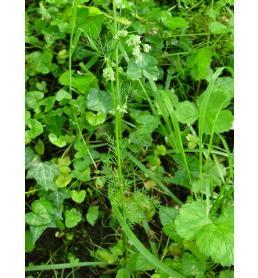 Although caraway is a common plant of Alpine meadows at low elevation, it was grown systematically in medieval monasteries, mainly for its extremely effective antiflatulent powers; there is still some domestic production of caraway in Germany, although most now stems from Egyptian imports. An annual, usually occurring as a casual on rubbish tips or disturbed ground, mostly from bird-seed and culinary sources; also established in a few places, such as on roadsides in N.W. Essex. Lowland. This slender biennial of well-drained calcareous soils on clay or chalk is found on arable fields margins, on grassy banks, roadsides, railway banks, river banks, by sea walls, in drained estuarine marshes, on rough waste ground and occasionally as a garden weed. Lowland. 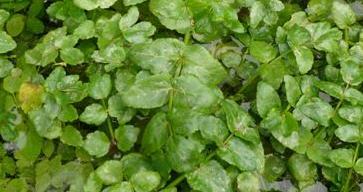 This perennial herb grows in shallow water on the margins of standing or slowly flowing water, including lakes, ponds, rivers, streams, ditches and canals, or in deeper water on floating mats of vegetation. It also occurs in tall-herb fen, in marshy pasture and on damp mud. Lowland. A robust perennial herb, characteristic of roadsides and hedgerows, but also occurring in abandoned pastures and under-managed hay meadows, in woodland rides and edges, on railway banks, and on waste and cultivated ground. Very wet or dry habitats are avoided. Seedlings are sometimes plentiful but extension of colonies also occurs by offsets from the main stems. 0-760 m (Mt Brandon, S. Kerry) and 845 m on Great Dun Fell (Westmorland). 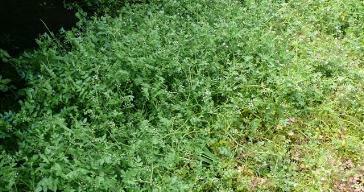 A perennial herb found in marshes, on sea-walls, in gravel-pits, on roadsides and waste ground and on rubbish tips. It has a deep tap-root, allowing it to survive in droughted habitats and making it very persistent. It reproduces freely from seed. Lowland. A tuberous perennial herb of still or slow-moving water, usually occurring on deep, silty, often eutrophic, substrates in shallow ponds and ditches, often where water fluctuates in depth. It also grows in open vegetation by sheltered lakes, reservoirs, canals, streams and rivers, and in marshes and seasonally flooded depressions. Lowland. 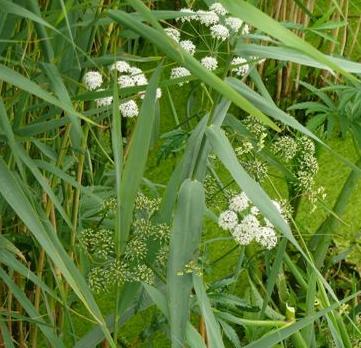 A perennial herb, found in shallow water in streams, ditches, swamps and marshes, and on seasonally exposed mud at the edges of ponds, lakes, rivers and canals, sometimes scrambling into nearby vegetation. It is characteristic of nutrient-enriched sites. Generally lowland, but reaching 335 m East of Shap (Westmorland). Largely an escape from cultivation (in, e.g., botanic gardens), spread along roads, railways and also by forestry; occasionally brought in with various transports, found in harbours and railway areas. A tuberous perennial herb of dry chalk soils, most frequent in arable fields, especially where cultivation has ceased, and sometimes dominant in arable reverting to pasture. It also grows in rough or broken turf on chalk downs, field edges, in hedgerows and scrub, on roadside verges and in quarries. Reproduction is by seed. Lowland. A perennial herb, mainly on basic soils derived from chalk and limestone, but also on clay, and most often found on roadsides, hedge banks, railway banks and wood edges, sometimes persisting on roadsides when neighbouring woods have been removed. Generally lowland, reaching 320 m in Derbyshire. 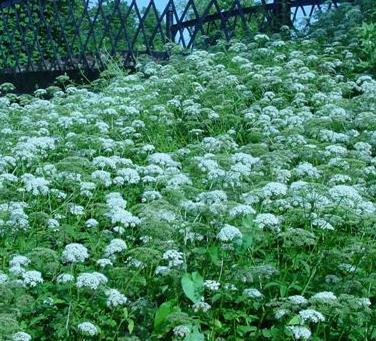 A rhizomatous perennial herb found in a wide variety of disturbed habitats, especially hedgerows, road verges, churchyards, neglected gardens and waste ground. It typically occurs near habitation or in the vicinity of abandoned settlements, such as in woodlands. It reproduces by seed and by its aggressive rhizome system. 0-450 m (Nenthead, Cumberland). An annual or biennial herb of neutral grassland and in grassy thorn scrub, on clayey or alluvial soils. The sites are sheltered and S.-facing. Its seed is apparently short-lived. Lowland. An annual, or rarely biennial, herb of dry neutral and basic soil, found in woodland margins, hedgerows, rough and rank grassland, and on roadside verges. 0-410 m (Craven Pennines, Mid-West Yorkshire). A biennial of damp places, such as ditches and river banks, and of drier habitats, including rough grassland, waste ground, rubbish tips and roadsides. It is a colonist of disturbed areas, particularly on dredged mud, sometimes forming large stands. Generally lowland, but reaching 305 m at Llynheillyn (Rads.). 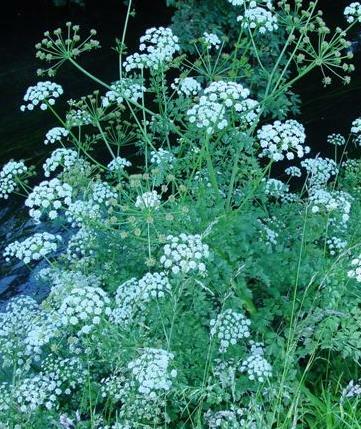 A tuberous perennial herb of shallow water in ditches, the banks of streams, rivers, canals, lakes and ponds, roadside culverts, marshes and wet woodland, among boulders at the top of beaches and on dripping or flushed sea-cliffs. Reproduction is usually by seed, and it perhaps spreads when detached tuberous roots are washed downstream. Generally lowland, but reaching 320 m in The Paps (N. Kerry). This perennial herb of coastal grassland occurs in rough grassland and scrubby places adjoining saltmarsh or brackish grazing marsh, on creek sides and on sea walls; also on waste ground and, rarely, on roadsides. Plants spread by rhizomatous growth, but seed ripens only in warm years. Lowland. A robust perennial herb of dry or moist, neutral to calcareous soils. It has a wide habitat range, including rough and disturbed grassland, especially on roadsides and trackways, woodland rides, scrub, river banks, stabilised dunes, coastal cliffs, montane tall-herb vegetation and waste ground. 0-1005 m (Breadalbanes, Mid Perth). This monocarpic, dioecious perennial herb is restricted to dry limestone sites, typically occurring in short-grazed, open, species-rich turf on South-facing slopes on Berry Head, the Mendips and the Avon Gorge. In heavily grazed turf the plant can be perennial until the opportunity arises to flower. Reproduction is by seed. Lowland. An annual found in a wide range of dry, sparsely vegetated habitats, including open grassland, sunny banks, sea walls, cliff-tops, arable fields, tracks and waste ground; occasionally in disused sand- and gravel-pits, and on rubbish tips. Lowland. This rhizomatous perennial herb has been recorded from a wide variety of habitats, including pasture, arable fields, roadsides, cliff-top grassland, scrub, chalk quarries, gravel-pits, railway ballast, river banks and waste ground. 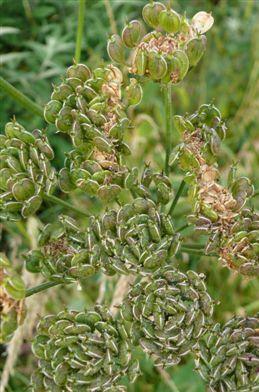 Viable seed is produced in Britain only in warm summers, and large colonies probably result from rhizomatous growth. Lowland. 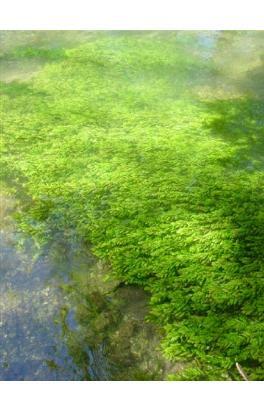 This perennial herb occurs in permanent shallow water in streams, ditches, ponds, canals and backwaters, and in sites which are subject to periodic desiccation, such as the edges of lakes, pools, reservoirs and dune-slacks. It is confined to oligotrophic or mesotrophic habitats, and most sites are base-poor. Reproduction is by seed. A perennial herb naturalised in moist or damp grassy areas, including marshy pasture, on hillsides and by streams and rivers, and sometimes established around farm buildings. Generally lowland, but reaching 385 m at Langdon Beck (Co. Durham). A biennial or short-lived perennial herb, mainly growing on permanently damp peat, often in sites flooded in winter. 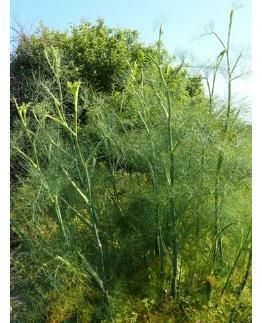 It is most characteristic of tall-herb fen, being found in both cut and uncut stands. It can survive in fen scrub and alder-carr, and it occurs rarely in marshes and damp pasture. Lowland. 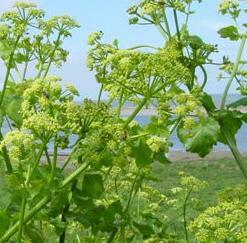 A biennial herb which forms small but persistent colonies on cliffs, banks and waste ground in coastal areas. These colonies usually have uncrisped leaves. 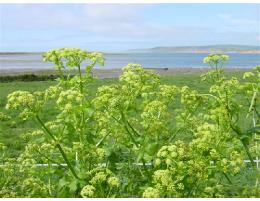 The crisped form which is commonly grown in gardens occurs as a casual close to habitation both near the sea and inland. Lowland. In coastal areas this perennial herb occurs in the uppermost parts of saltmarshes, in rough grassland in drained estuarine marshes, by brackish dykes and the lower reaches of tidal rivers. Inland, it is found in base-enriched habitats, including marshes, fen-meadows and tall-herb fen. Lowland. It is found in damp, unimproved neutral grassland, usually on clay soils. Its habitats include hay- and water-meadows, species-rich pastures and roadsides; it is occasionally found on chalk downs, railway banks and vegetated shingle. Lowland. A perennial herb, found in damp or shaded meadows and pastures, hedgerows, roadside verges, copses and woodlands; especially characteristic of some types of northern hay meadow (Rodwell, 1992). It grows on a wide range of acidic and base-rich soils. 0-700 m (Breadalbanes, Mid Perth), and 845 m on Great Dun Fell (Westmorland). Photos and images of Bupleurum species with descriptions. 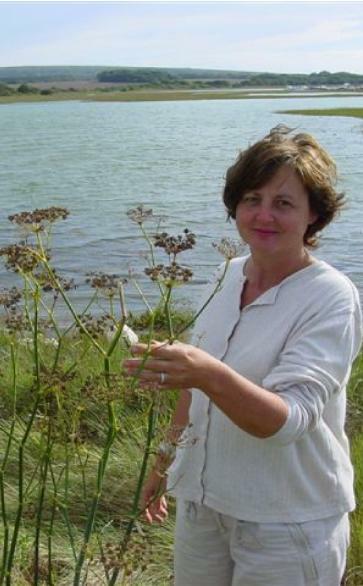 chemistry, pharmacology, edibility folklore of British Umbelliferae. Umbelliferae Of The British Isles, 2nd edition, 2000. 1st edition 1998.